Growing up in rural Idaho meant that every sixth-grade student completed the Idaho Hunter Education course during the school year. On school time…in school classrooms. And ever since I grabbed a catalog during the Hunter Ed class that featured a Marlin 336CS on the cover…I had to have one. Though they aren’t made anymore…I still have 5 lever guns of my own that I use to hunt and shoot. 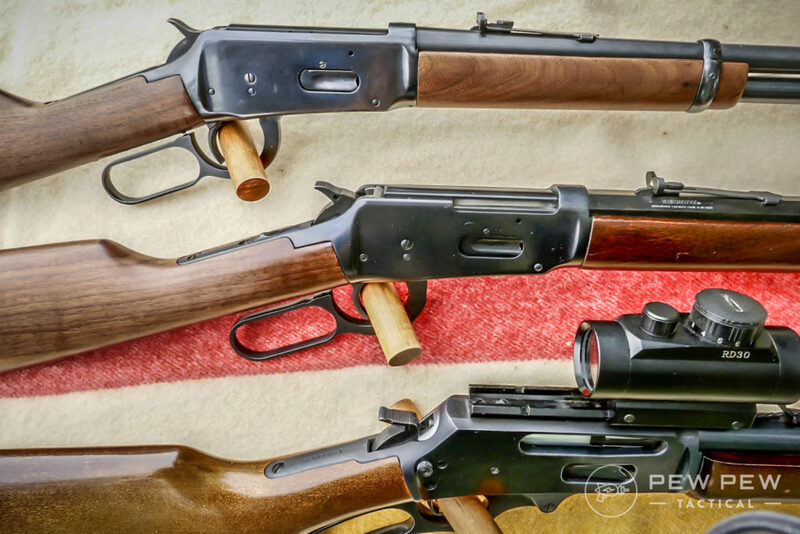 Want to start your own lever gun collection? Read on and you’ll know which guns and calibers are the best for you. This love affair began way back in 1848 when the Volition Repeating Rifle was the first lever gun to receive a patent. That venture failed in 1852 with only a few rifles produced. Enter Mr. Smith and Mr. Wesson. They bought the patent and with help from several investors created the Volcanic Repeating Arms Company in 1855. One of the investors was Oliver Winchester. The Volcanic Rifle did not gain much traction either. Smith and Wesson moved on to develop their revolvers and Oliver Winchester bought out the remaining investors and renamed the company New Haven Arms Company. He brought on a man by the name of Benjamin Tyler Henry to rework the Volcanic Rifle design. Today we recognize the Henry Rifle as the result of that design work. The Henry Rifle was introduced in 1860 and saw action during the Civil War. For those in the south it was better known as “that damn Yankee rifle you load on Sunday and shoot all week”. At the end of the war, the New Haven Arms Company was renamed the Winchester Repeating Arms Company and a new and improved model of the Henry, the 1866 Winchester was rolled out. In 1873 the “gun that won the west” the 1873 Winchester made its entrance followed by the 1876 Winchester three years later. John Moses Browning began his work at Winchester in 1883. Because of his work and designs Winchester and lever action became one in the same. His most famous design, 1894 continues to this day. The 1894 was first chambered in the 32-40 and 38-55 black powder cartridges. Then in 1895, the 30 Winchester Centerfire became the first smokeless powder cartridge in America. You know it today as the 30-30 Winchester. It is estimated that more than 7.5 million Model 1894’s have been produced. When you watch classic westerns if you pay attention you’ll see a lot of Winchester Model 1894’s and a few 1873’s. But go back in time and tune in to the Big Valley and you’ll notice all those boys in the Barkley family are toting Marlins. The side-ejection Marlin is known for is clearly visible in the show when the inevitable shoot-out goes down. John Marlin rolled out two lever action designs in the late 1890’s. The Model 39 was a rimfire design and has been in constant production for over 120 years. Today you will find the 39A still available from the Marlin Custom Shop. The Model 36 had several upgrades and modifications over the years and in 1950’s became the 336. As mentioned earlier the big difference in Marlin and Winchester lever guns is the ejection. In the early Winchesters, the spent case was ejected straight up as the action opened. This made mounting optical sights impractical until Angle Eject was introduced in the 1980’s. The Marlin rifles have a solid-top receiver and eject spent cases out the side. So those that wanted to mount a scope had a solid base to work with and no empties banging the bottom of the scope every time the lever was worked. 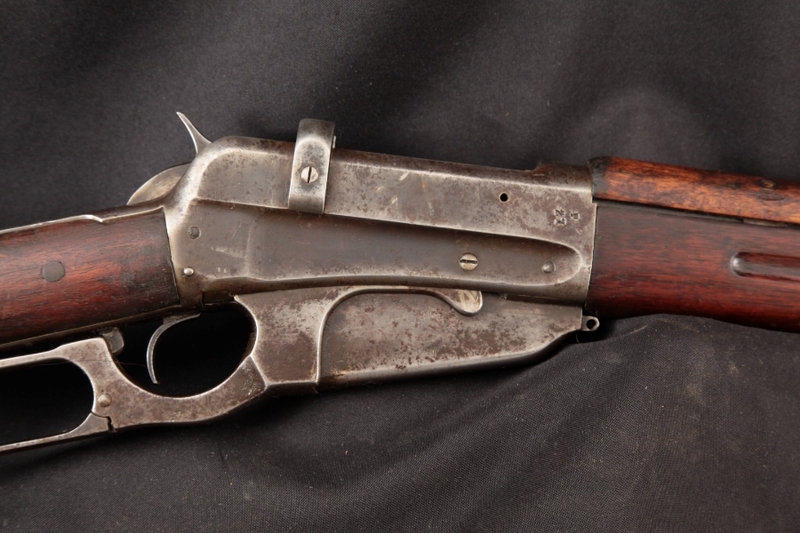 Savage went a different direction entirely with its Model 99 introduced in 1899. Rather than a tubular magazine, the Savage rifle has a top-loaded rotary magazine. The action is very streamlined and lends itself well to mounting optics or peep-sights. There is no hammer, so the lock time is a bit faster than the Winchesters and Marlins. 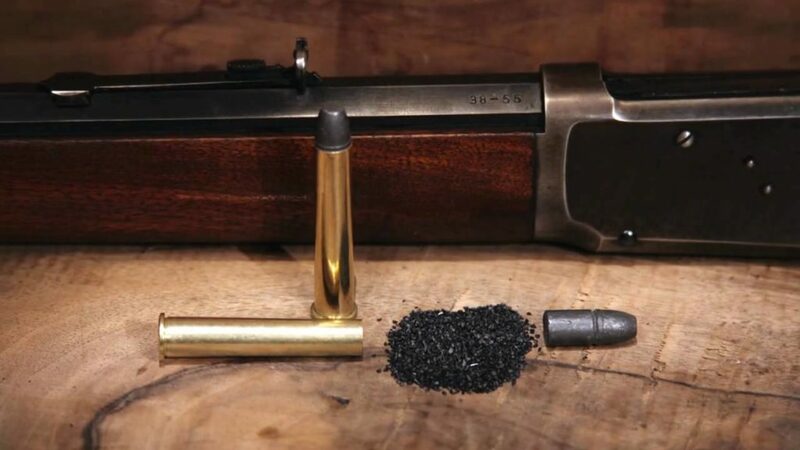 And, because there is no tubular magazine, the Savage easily handles cartridges that excel with spitzer-type bullets such as the 250-3000 Savage (the first commercial cartridge to break the 3000fps barrier) and the 300 Savage. As American and traditional as the lever action rifle is, there is a bit of an interesting twist concerning the Winchester Model 1895. At the beginning of World War I, Russia had a problem. They had the biggest standing Army on the planet, but about a third of their soldiers had no rifles. At the time the United States was a neutral country and Russia went to Winchester and ordered 300,000 musket versions of the Model 1895 chambered in 7.62x54mmR and complete with bayonet lugs. The rifles were also modified to be loaded with what we call stripper clips today. If you are an avid reader of safari lore you will recognize the Model 1895 in 405 Winchester as Teddy Roosevelt’s “’medicine gun’ for lions”. With all the plastic fantastics and AR-15’s and AR-10’s one might think there is no place for old-fashioned lever guns today. But consider this, the lever action rifle was really the first pistol caliber carbine. Back when ranch hands always had a revolver strapped on in the classic 44-40 cartridge many times there was a rifle in a saddle scabbard loaded up with the same ammo. And lest you think a lever gun is slow, take a look at this video with a well-practiced cowboy action shooter and his lever gun. Obviously, the lever gun is right at home in the hunting fields. Millions of deer have been harvested by the 30-30 in every brand of lever gun. Not to mention black bears, elk, hogs and small game. With modern bullets, modern powder and modern actions, a lever gun is a useful tool in any hunting situation. Especially if you start looking at big bores like the 45-70 and 450 Marlin. The sleek Browning Lever-action Rifles are chambered in .308 Winchester and .243. 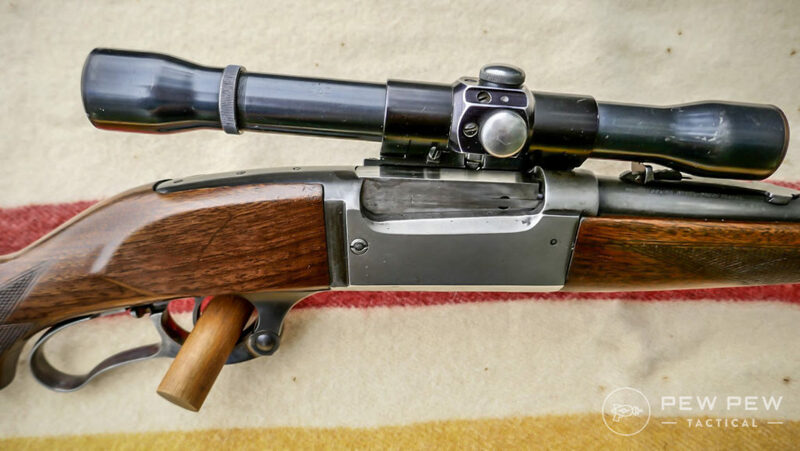 Custom builders like Wild West Guns will supply you with a take-down lever gun built on a Marlin action in the .475 WWG (Wild West Guns) cartridge. How about as a defensive tool? Maybe you live in one of the not so gun friendly states that don’t allow dangerous things like removable magazines or pistol grips. Grab yourself a lever gun in .38 Special/.357 Magnum and you now have 10 rounds of stopping power in a very light, very fast platform. If the 38 calibers are not to your liking you can step up to .44 Magnum or .45 Colt and make a lot of big holes very quickly. I have a wrinkled old yellow notepad with the words “Guns I Still Need” scribbled across the top. On that list are probably 30 or so guns that at the time I thought would be just right to keep a gun nut and shooter happy. One of those with a check mark next to it is a Model 99 300 Savage. Another is a Model 99 250-3000 Savage – Take Down…that one does not have a check mark…yet. 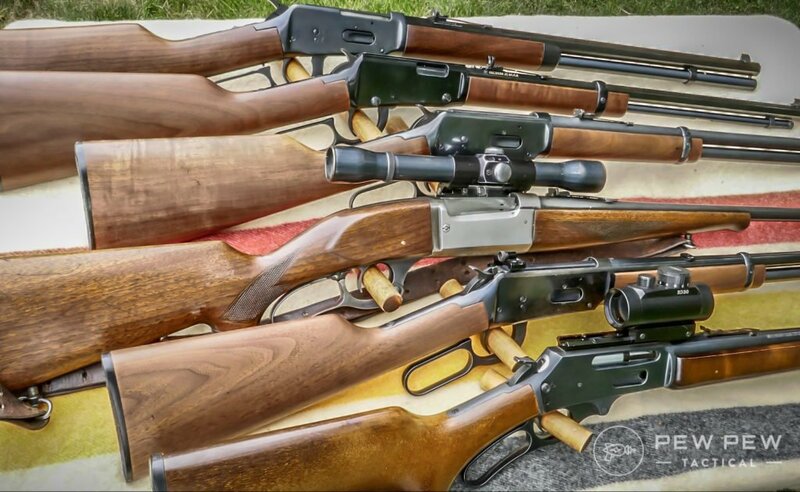 The rifles below should get you well on the way to a fine collection of lever guns. If you want a smooth as silk action in an American made rifle you need to treat yourself to a Henry. 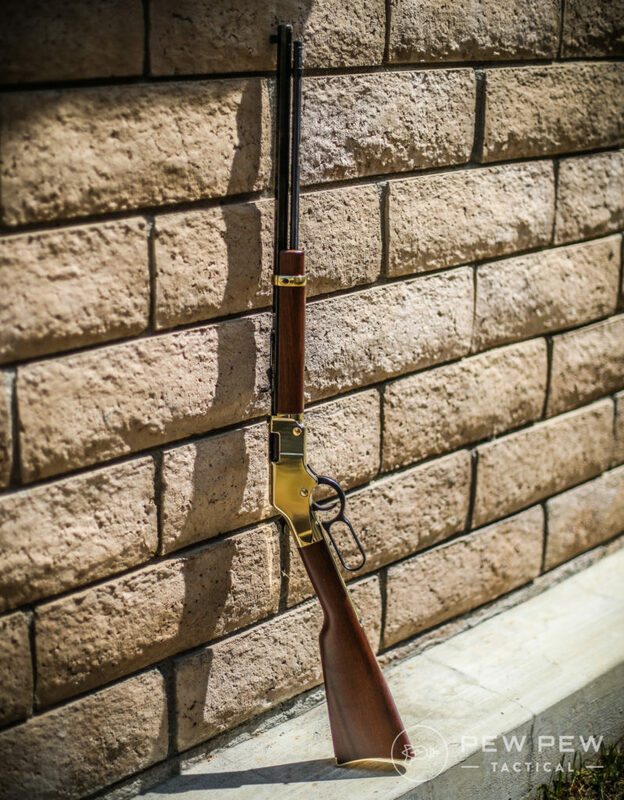 Whether you choose a svelte little 22 Long Rifle or a centerfire cartridge you cannot go wrong investing in a Henry lever gun. 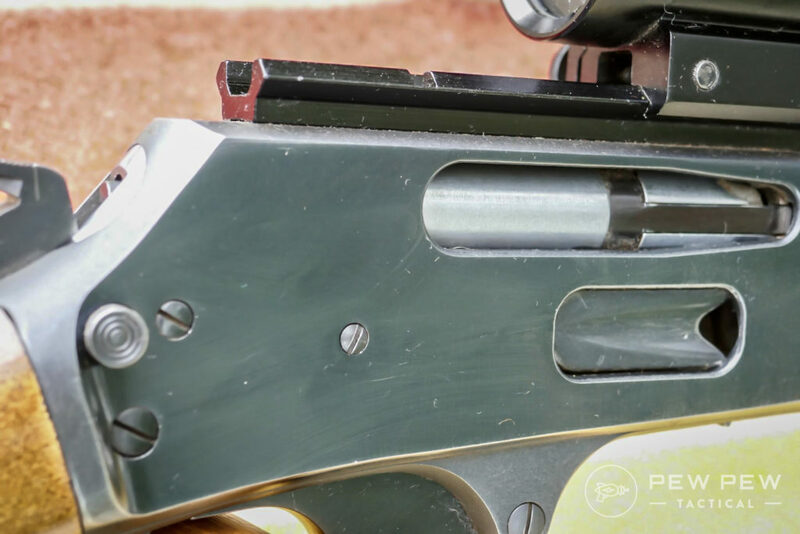 Side-eject, magazine tube loading port and no lawyer inspired safety mechanism mean you are getting a good old-fashioned lever gun the way Benjamin Tyler Henry intended. Take a look at the new .410 shotgun if you want to change up your rabbit hunting or upland bird hunting a bit. If you want to bling up the gun safe, a Henry Golden Boy .22 is just the thing. I like classic blued steel and walnut so my choice would be the Color Case Hardened 45-70. Big bore power in a very traditional rifle. But Henry has dozens of options to choose from so they are sure to have a lever gun to meet your idea of the perfect rifle. What’s your take on Henry Rifles? The 336 Stainless is chambered in .30-30 Winchester. With a brushed stainless finish and handsome checkered walnut, this rifle would be right at home sneaking through thick whitetail timber or waiting for an elk at a wallow. With 6 rounds in the tubular magazine, you’ll be prepared for a great day in the field. If the open sights leave your aging eyes straining a bit, you can easily mount the optic of your choice on the solid top receiver. Marlin also makes the 336 in a standard Blued finish, if stainless steel isn’t your thing! The Model 94 is a classic everyone should own. At least in my humble opinion. Chambered in 30-30 Winchester with open sights, walnut stock and richly blued steel you’ll feel like you’re stepping back in time a bit when you pull this rifle out of the safe and head to the range. New production rifles will be a bit different than the originals but they are very nice. You will find a tang safety, Angle-Eject and the receiver is drilled and tapped for mounting optics. But it’s still a Winchester lever action rifle. There are lots of 45-70’s available and it’s one of the classic cartridges on my list. Marlin started a trend years ago when they rolled out the Guide Guns. These were short barreled, ported, peep-sighted guns for guides to backup clients taking on big bears or other toothy critters. Though Marlin offers several Guide-type guns today, the Custom Shop rifles really catch my eye. With a choice of Cerakote colors to choose from, slicked up actions, ghost ring sights, and a tube full of 45-70 cartridges, what’s not to like? Lever guns are an institution in America. They are a part of who we are and have played a major role in the development of the firearms we enjoy today. 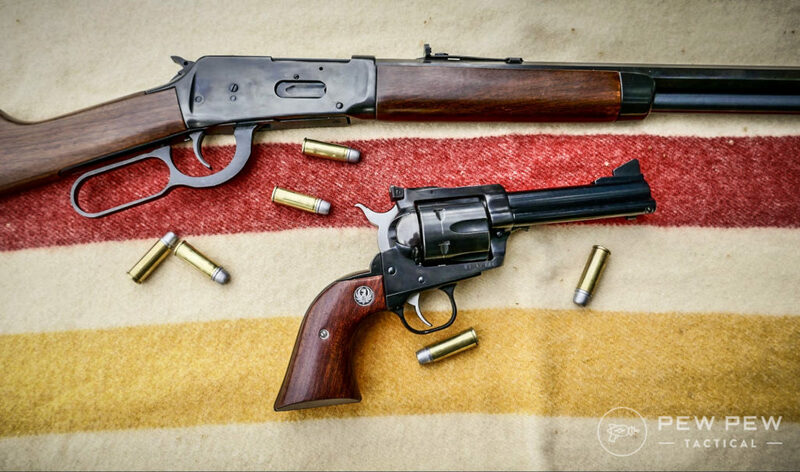 Maybe you never thought a lever gun was really your thing. Fast semi-autos and long-reaching bolt guns have their place. But iron-sighted lever gun forces you to slow down, get close, and really engage in the hunt or at the range. If you’re looking to modernize your rifle, a great optic is the best way! 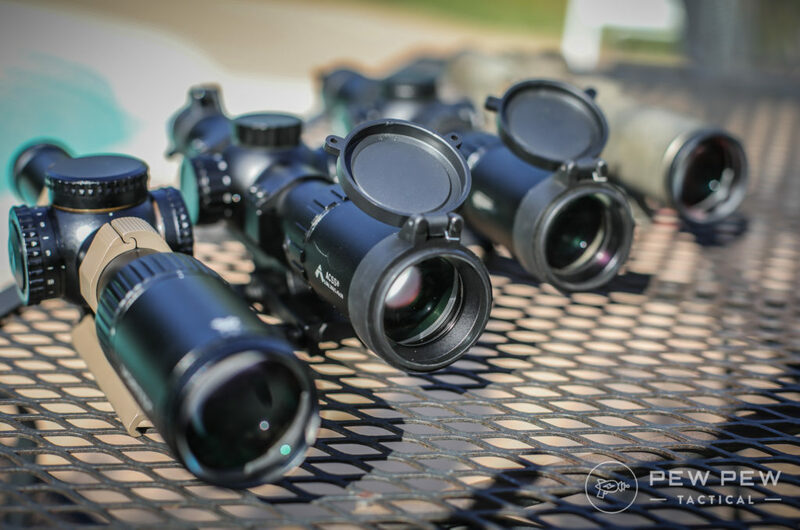 We’re fans of low magnification scopes, like a 1-6x Scope. Channel your inner pioneer and put a couple of classics on your own ‘need to buy’ list and let us know in the comments! Then check out our Editor’s Picks for more of our favorite guns and gear. I have killed a few pigs and deer over the years with a Marlin lever action. Both a .44 Mag with open sights and a .357 Mag with a scope on a raised mount to clear the factory sights. Great way to spend an afternoon in a tree and get some meat with 30yd shots. I hunt with a Marlin 336 chambered in .35 Remington. With a 2.5 power scope, it’s about ideal for the Missouri woods. 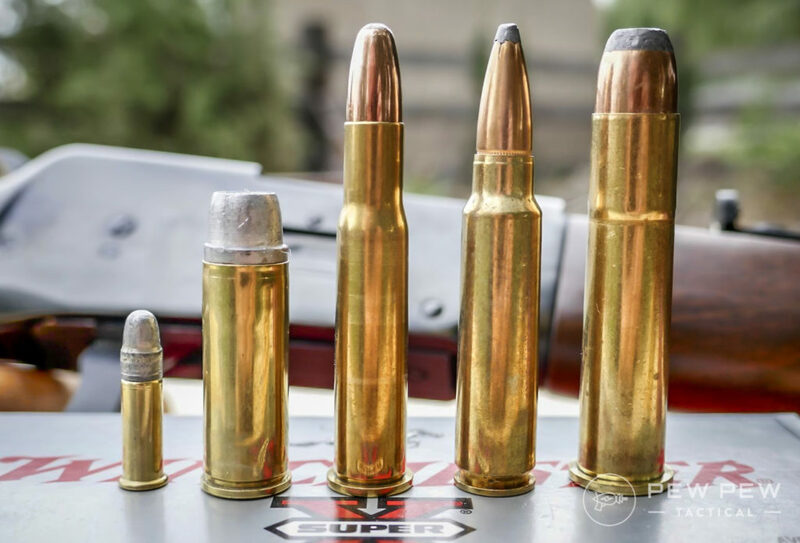 The .35 Remington is a little heavier and a little slower than the .30-30 with typical loads. I’ve never had a deer run after getting hit with one. would not take anything for them . I too learned to hunt with the Winchester 94 in 30-30. You hit it right on when you wrote we had to get close and stay low. With iron sights and the absolute focus on a clean and ethical kill, I really had to hone my skills. This gun taught me more about hunting than most any other source. Many a deer and coyotes have been taking with this gun andit still shoots straight and never experienced a failure (even with my early years of neglecting it). Great article. I would love to have a Marlin in the 45-70.